Gorgeous mountains, crystal blue glaciers, and rare wildlife are common visions that come to mind when one thinks of Alaska. But, this incredible state is much more than just a popular tourist destination. Anchorage is a welcoming place to call home and offers all of the conveniences of modern-day life. Whether you're making Anchorage your new home or simply want to relocate within the city, Arbor Pointe Apartments is a great place to settle. "I like living here because it's a safe, comfortable, and friendly environment," states one of our residents. We pride ourselves on making our residents happy, which is why there is a lot to look forward to if you choose to make Arbor Pointe Apartments your new home. 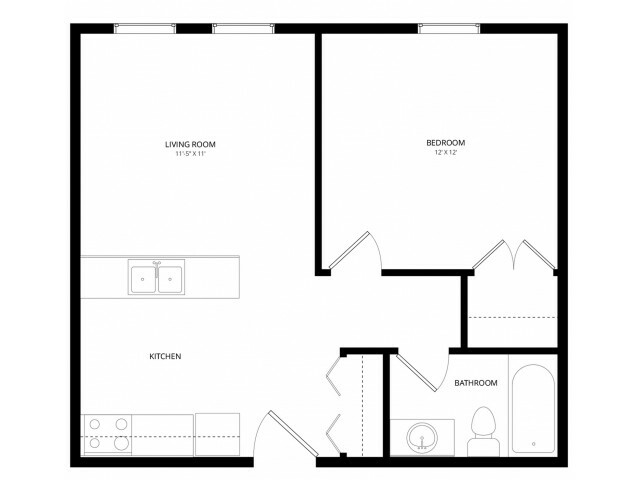 Each studio and one-bedroom apartments have large private balconies, complete appliance packages, and an assigned parking space for your car. Additionally, our community amenities include a central vacuum system, on-site laundry facilities, and 24-hour emergency maintenance services. Arbor Pointe is also in a great location with close access to all that this thriving city has to offer. For the students in your life, you'll be less than a mile from West Anchorage High School, Romig Middle School, and North Star Elementary School. Arbor Pointe is also a great complex for college students since Alaska Pacific University and the University of Alaska Anchorage are just four miles away. You'll also appreciate that our property has popular stores nearby such as Fred Meyer, Walmart, REI, and Carrs-Safeway to easily purchase those everyday necessities. If you love the great outdoors, then Arbor Pointe Apartments could be the perfect place for you. We have easy access to Westchester Lagoon and Valley of the Moon park. They're the perfect places for walking, jogging, ice skating, playgrounds, and picnics. The possibilities are endless in Anchorage! Anchorage, AK is a unique and wonderful place to live, but it can be hard to know which Anchorage apartment complex is right for you. Contact Weidner Apartment Homes today! We would love to tell you more about our apartment community, leasing options, and pet policies. You can even schedule a tour of the apartments. We love Anchorage, and we're excited to help you to make this great community your new home. $500 off the first month's rent! Valid Through : Apr 23, 2019 - Jun 30, 2019 $500 off the first month's rent! We are a cat friendly community.